A reminder that nominations for the new board of the Teaching Council open 23 November and close 25 January. Voters in seven teaching sectors will elect seven board members, one teacher and one principal from the primary and secondary sectors, one teacher and one leader from early childhood education, and one teacher educator. 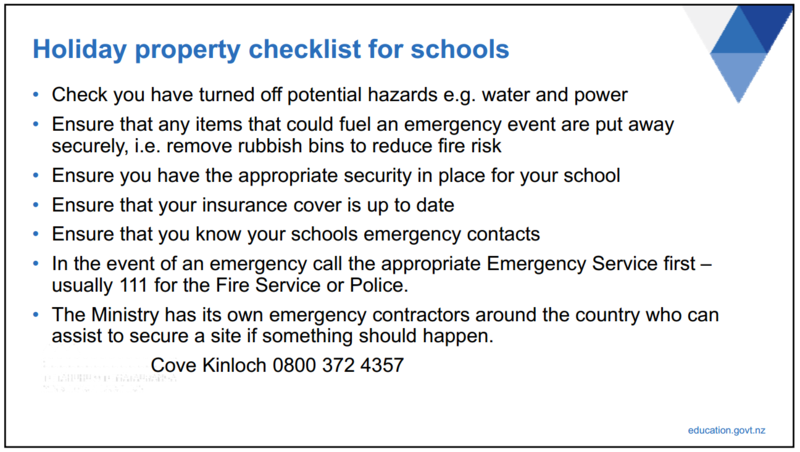 More information is available on the Councils website, click here. Proprietors are required to submit audited attendance dues accounts each year. For more information, Ministry of Education has released this year’s circular for Attendance Dues Accounts (click here). Submissions for the NCEA have closed, and the Review team have advised they have had engagement with over 16,000 people. 8,058 filled in a survey or provided a detailed submission. Approximately 8,000 people attended a workshop, meeting, hui, fono, focus group, in-depth interview or debate. For the next steps, see the timeline below or visit their website here. This inquiry has now been expanded to include Faith-Based Institutions. More information about the Commission can be found on their website, click here. A useful summary update from the nationally held property sector forums is now available (Click here to view the digital PDF; note this is for the South Central group; the information is the same nationally, just the contact people on the final page are different). Topics include police vetting and asbestos management and will be relevant for Proprietors and Principals. 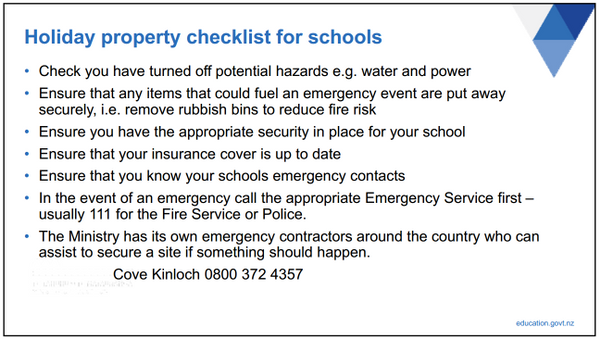 And Fire and Emergency New Zealand also have a checklist on their website for protecting schools (click here). Preservation of Documents for the Royal Commission of Inquiry. Maria McKee2019-04-15T15:19:59+12:00April 8th, 2019|Comments Off on Preservation of Documents for the Royal Commission of Inquiry. NZCEO works with Proprietors of schools and diocesan educational bodies to promote a full understanding of Catholic education.